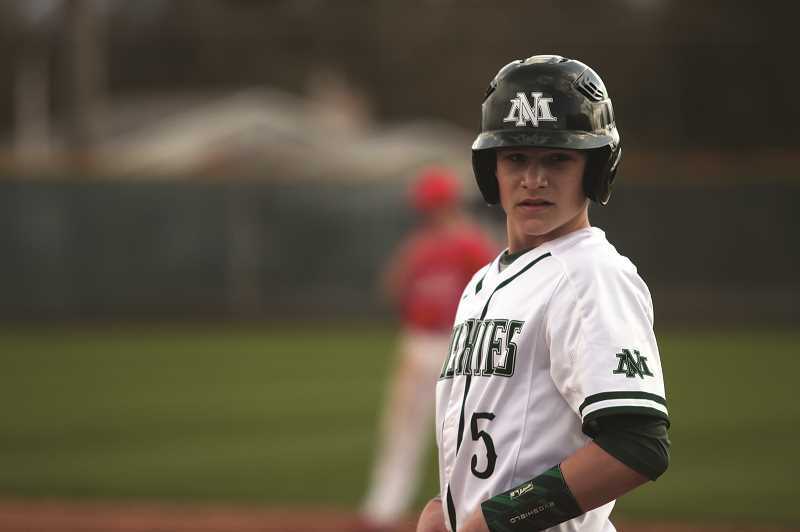 The North Marion baseball team closed out the month of March with an unblemished record, winning three more home games during spring break to improve to 9-0 through the first three weeks of the season. 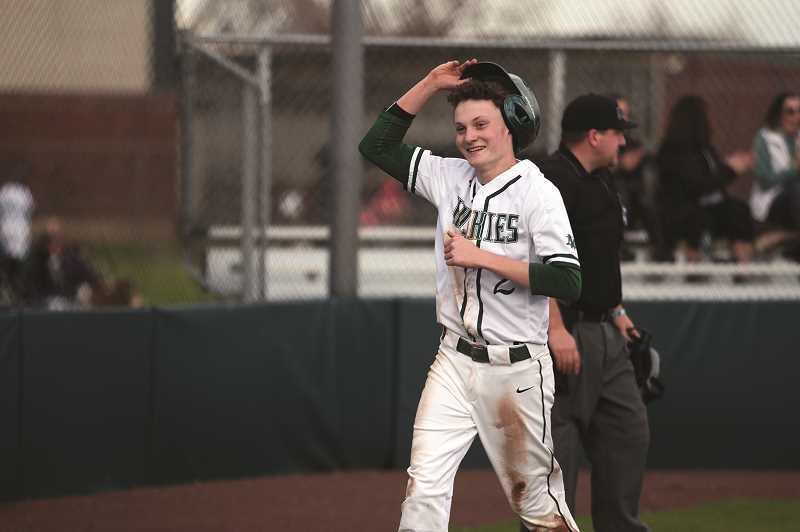 The Huskies remained atop of the OSAA standings at the 4A level after opening the week with an 8-4 win over Marist on March 25 and followed with an 11-5 win against Seaside on Thursday and finishing with a 9-0 shutout over Philomath on Friday. Hosting their former Oregon West Conference rival, the Huskies rode a masterful performance from senior pitcher Griffin Henry to the team's second scoreless win of the season. The North Marion lefty pitched a nearly flawless game, striking out 14 batters while limiting the Warriors to just one hit and one walk. North Marion owned a 2-0 lead through the first three innings of play before the team put up three runs in the fifth and four more in the sixth to put the game out of distance. Grant Henry led the Huskies with a team-best three RBIs, while freshman Evan Holman had a strong performance on the basepaths, scoring three runs. Senior Nic Iliyn and junior Brady Hansen led the team at the top of the lineup, each going 1-for-2 with a pair of runs scored. 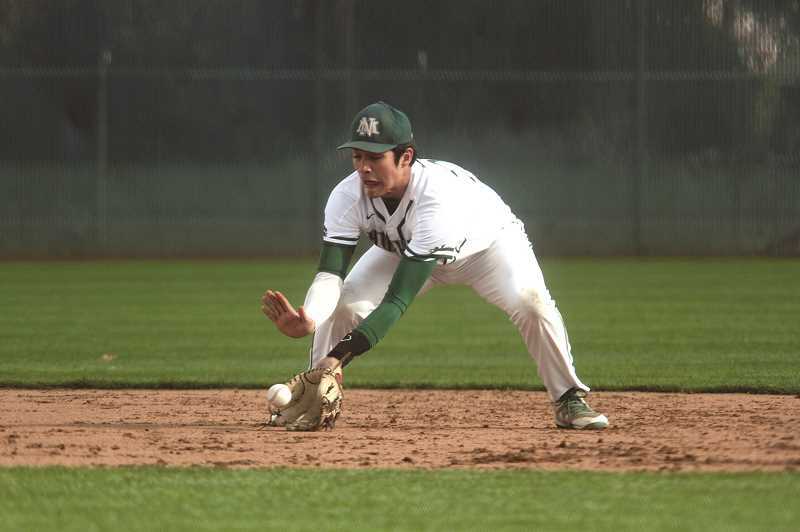 After squandering early-game offensive opportunities, the Huskies rallied from a 3-2 deficit by dropping nine runs on the Seagulls in the bottom of the third to run away with the victory on Thursday. Hansen pitched the opening five innings of the game, which was delayed after the Huskies' big third inning due to lightning. But the teams came back to wrap up the contest in quick order. Seaside tagged Hansen for a pair of runs to open the fifth, but junior Hunter Wierstra entered the game in relief and held the Gulls scoreless for the remainder of the game to pick up the victory. All nine members of the Huskies' lineup recorded at least one hit in the win, with Ryan Olson leading the way, going 3-for-4 with a double and a run scored. Iliyn was 2-for-4 with a pair of doubles, an RBI and a run scored, while Griffin Henry went 2-for-4 with two RBIs, and a team-best two runs scored. Isaac Hansen and Brady Hansen each recorded a pair of hits as well. The Huskies rode a team effort on the mound to open the week with a win over the visiting Spartans. Ryan Olson pitched the opening three innings to earn the victory, and was followed by Sergio Jimenez, Hunter Wierstra, Avery Couloumbe and Grant Henry to hold Marist to three hits while striking out nine. Grant Henry was 2-for-4 with a double and two RBIs, while Iliyn was 2-for-3 with an RBI and a run scored. Griffin Henry batted in a pair of runs in the victory, in which North Marion led 5-0 after the first five innings. The Huskies wrap up their non-conference schedule this week when the team hosts the 5A No. 2 Crescent Valley Raiders (8-0) on Wednesday. North Marion will open their Tri-Valley Conference schedule the following day when they travel to Molalla to play the Indians (5-4).